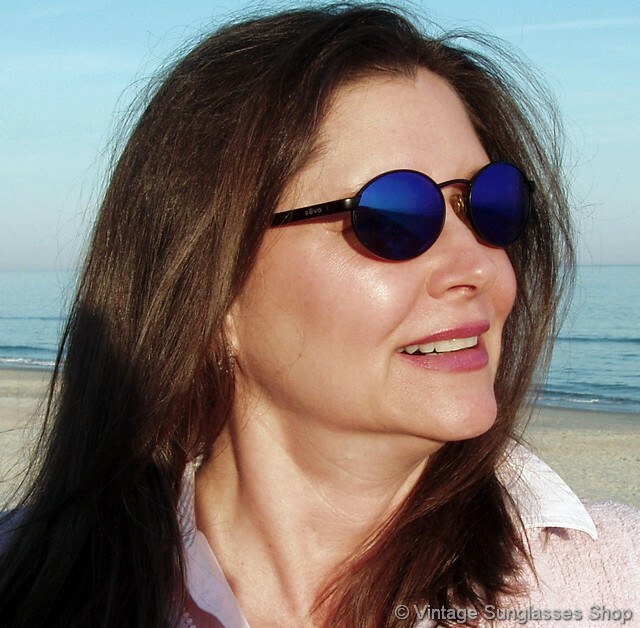 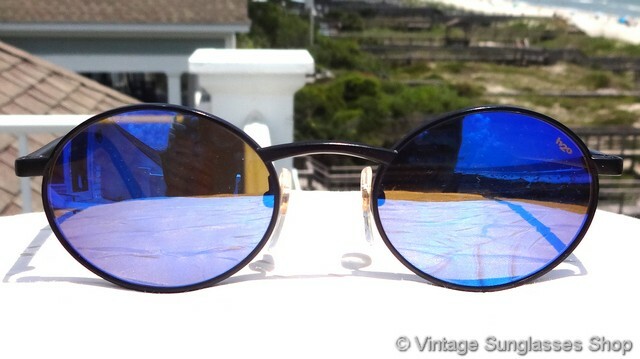 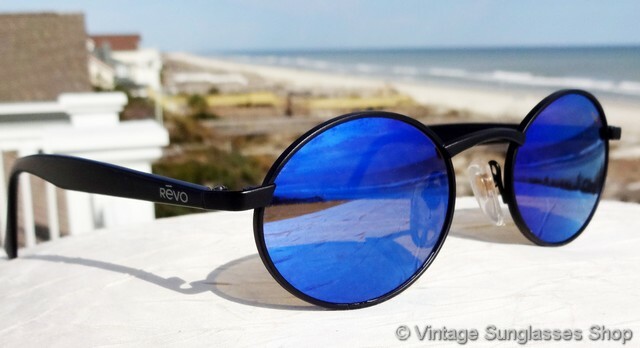 1 Vintage Revo 962 050 Oval blue mirror H20 sunglasses have the great black ear stems coupled with Revo's oval blue mirror H20 polarized lenses, one of the best variations of frame and lens color in the entire Revo 962 collection. 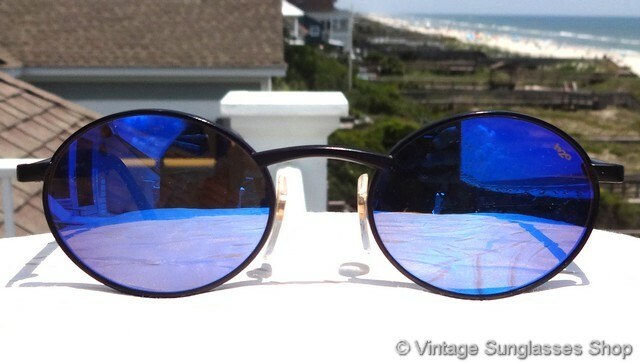 The blue mirrored H20 lenses pick up lots of red and purple hues that set them apart from their non-H20 counterparts, and there's no better eye protection than the Revo mirrored and polarized lens. 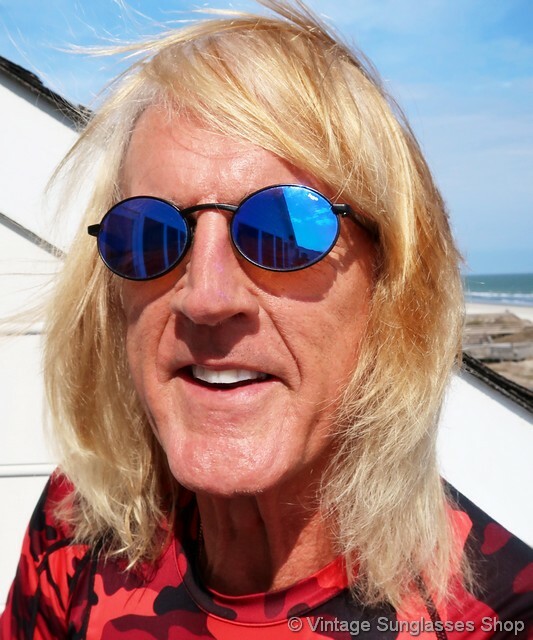 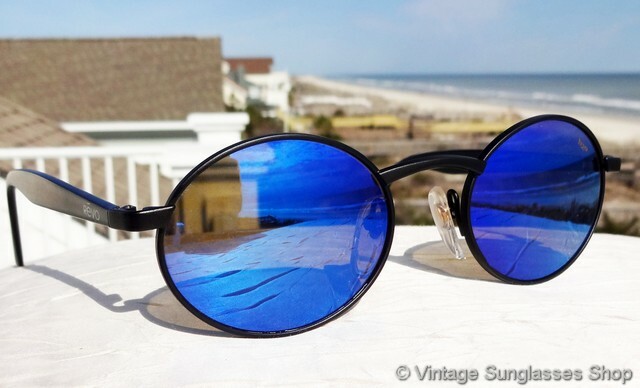 The nose bridge and ear stems are all matte black, and Revo 962 sunglasses have a classic shape and unisex size with frame measuring approximately 5.25" temple to temple and oval blue mirror H20 lenses measuring approximately 2.0" x 1.5" at the widest points. 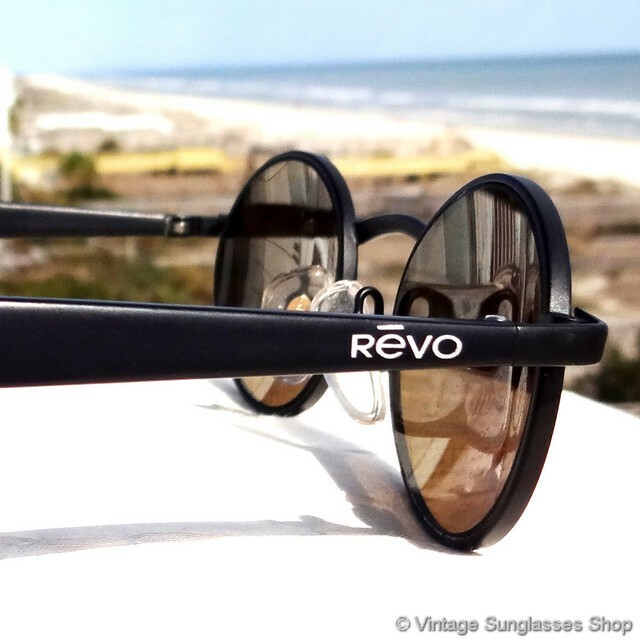 The Revo logo is embossed in white on each ear stem near the hinges, and the inside of one stem is marked CE 962 050 Frame Japan. 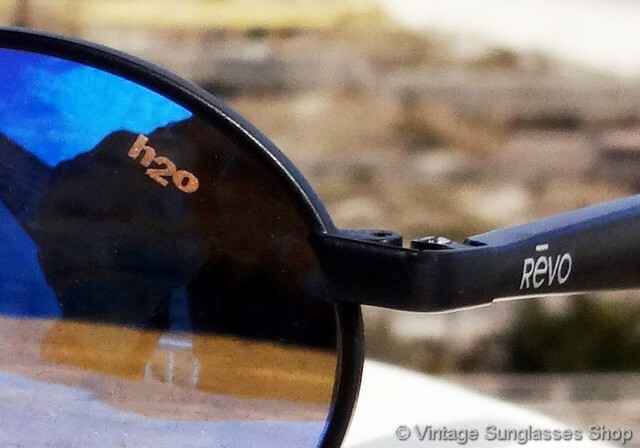 The left lens is laser etched H20 to indicate Revo's advanced polarization, part of a collection of fine vintage Revos owned by a well known TV personality and long time customer of the Vintage Sunglasses Shop. 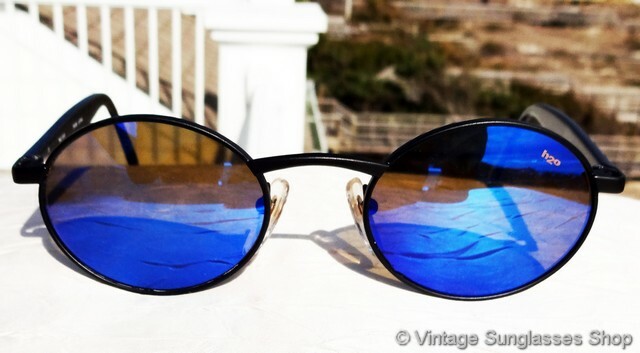 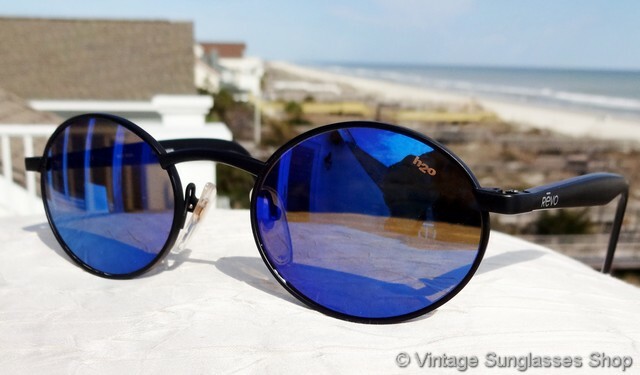 1A Step up another level beyond our already unequaled vintage condition standards with new old stock Revo 962 050 Oval blue mirror H20 sunglasses in mint, unworn condition. 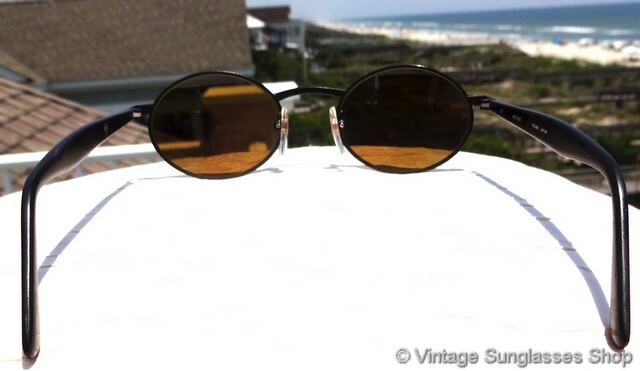 See our entire selection of vintage Revo 962 sunglasses, and thanks for visiting and shopping with us!